Mozambique could begin production of foot-and-mouth disease vaccine in an initiative that is a partnership between the country’s Ministry of Agriculture and Food Security and the government of Botswana, an official said on Monday. Agrarian Development Fund deputy director Abdul César told APA that the initiative would go a long way in strengthening Mozambique’s beef industry. "That is why the Tswana minister is accompanied by businessmen to make partnerships at the national level in the area of livestock production and vaccine processing,” César said following a meeting with visiting Botswana Agriculture Minister Patrick Ralotsi and his delegation. He said Mozambique has vast potential for cattle ranching in provinces such as Gaza. 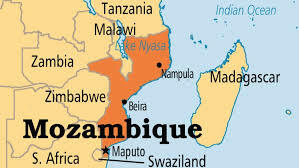 The official added that at the moment Mozambique imports about 250,000 doses of the vaccine for affected cattle at a cost of more than US$500,000. Foot and mouth is a highly contagious and often fatal disease that affects livestock such as cattle, pigs, goats and sheep and can be transmitted from buffaloes.